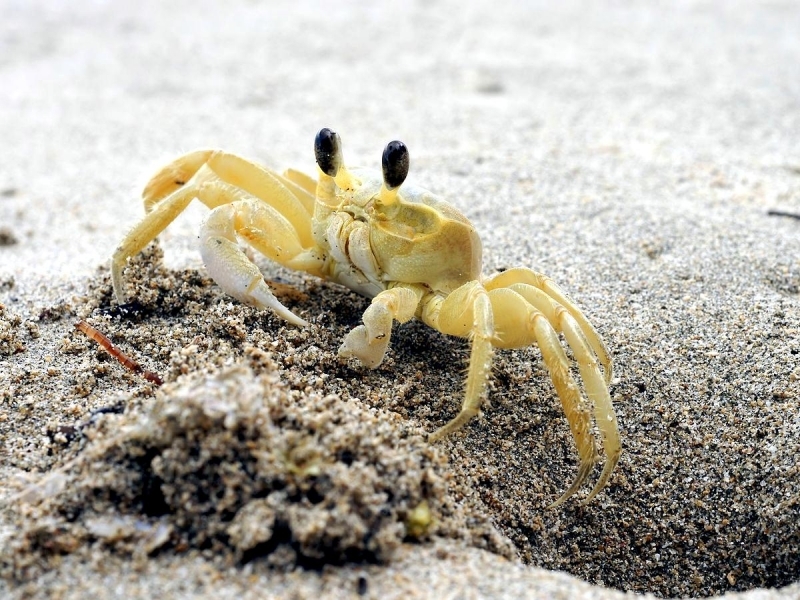 Ghost Crabs are also known as the Sand Crab, White Crab and Mole Crab. They are tiny animals that are mainly terrestrial and live in elaborate burrows. 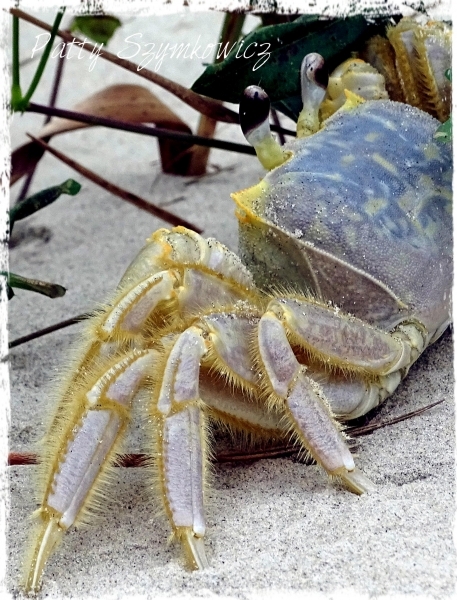 Ghost Crabs live their entire adult life on beaches in tropical & sub-tropical regions around the world. They prefer quiet beaches and forage for food at night when they are less apt to be seen by predators. 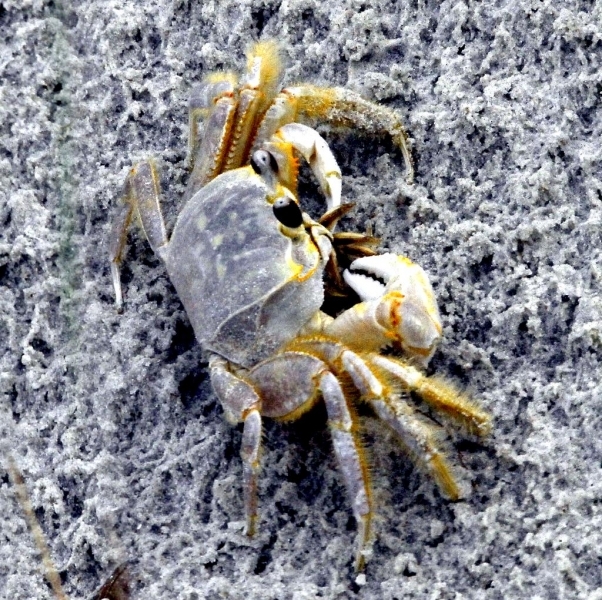 Ghost Crabs are found along beaches from Rhode Island south to Brazil. 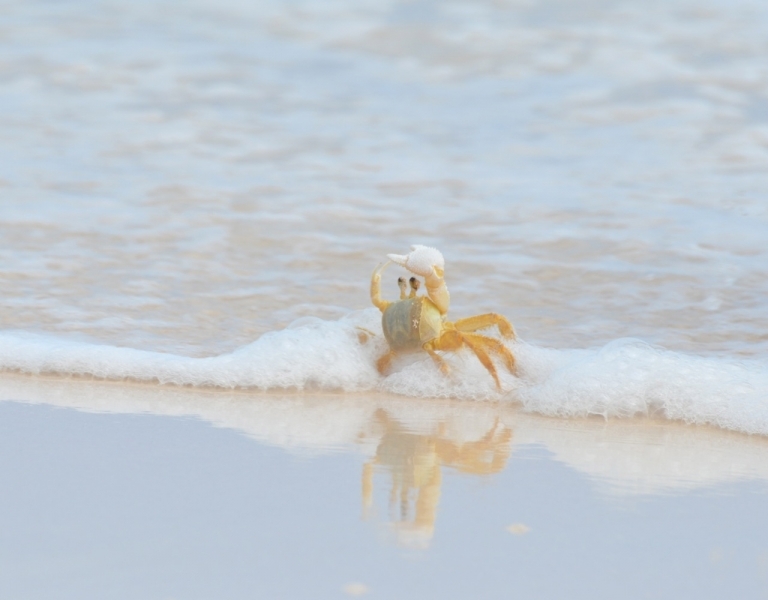 Unlike crabs that live in the water, they only need to wet their gills. 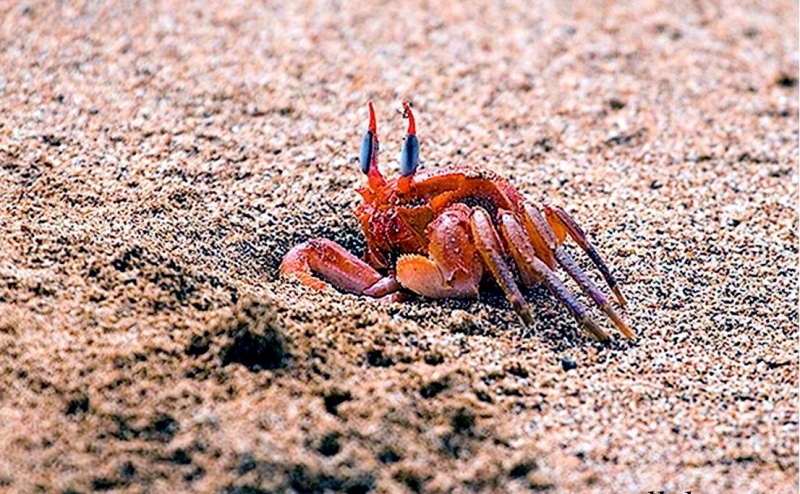 These crabs like to brace themselves in the sand and let the waves wash over their bodies to wet their gills. They also have hairs on the base of their legs that wicks up water from damp sand to wet their gills. This animal has a pale body color that is similar to the color of sand. This makes it nearly invisible when it crawls about over sand. 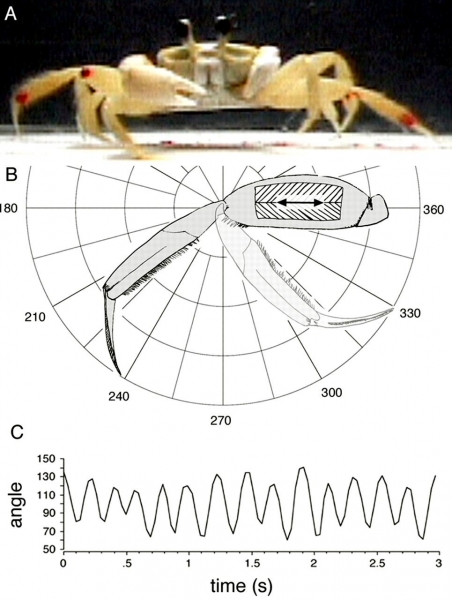 It is because of this apparent invisibility that the crab has got its unique name. The name is also suggestive of the fact that the activities of this creature are mainly restricted to night. 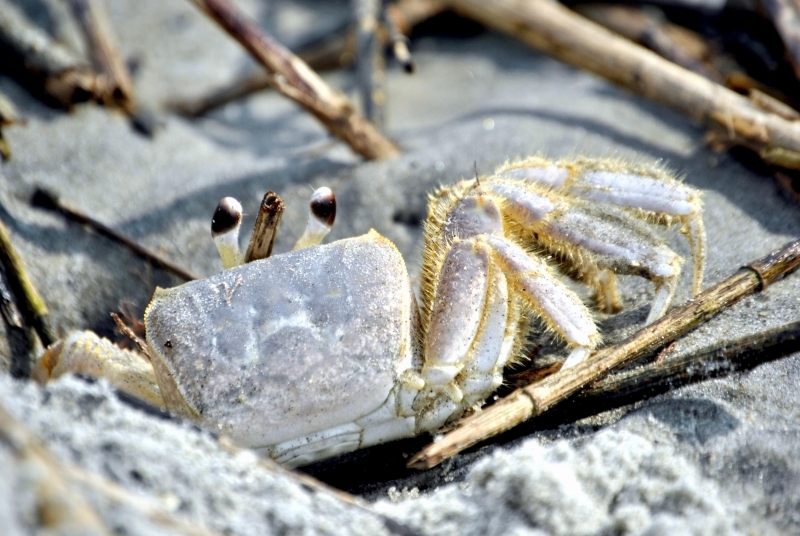 Ghost Crabs are omnivores because they eat both meat & vegetable matter. They eat all kinds of food they find on the beaches. Their diet includes vegetation and other debris washed in by the tides. 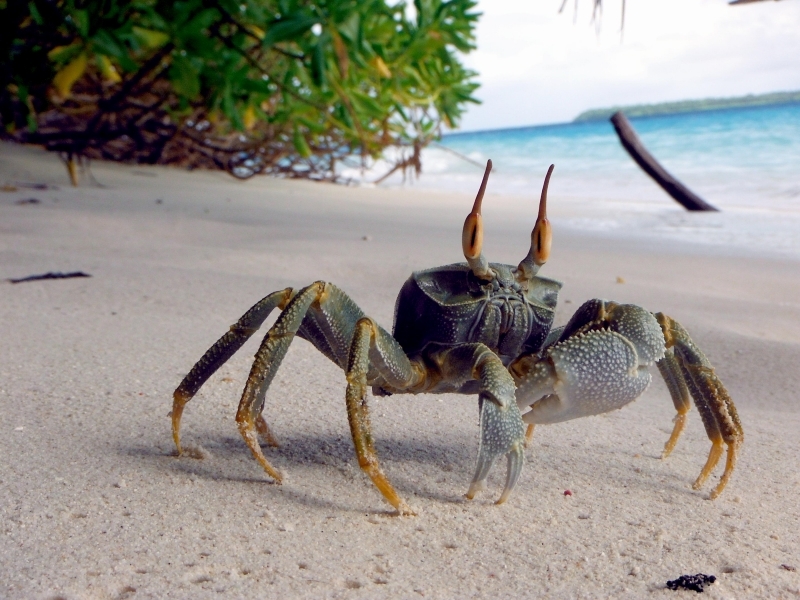 They also feed on mole crabs, clams and the eggs of Loggerhead Sea Turtles. 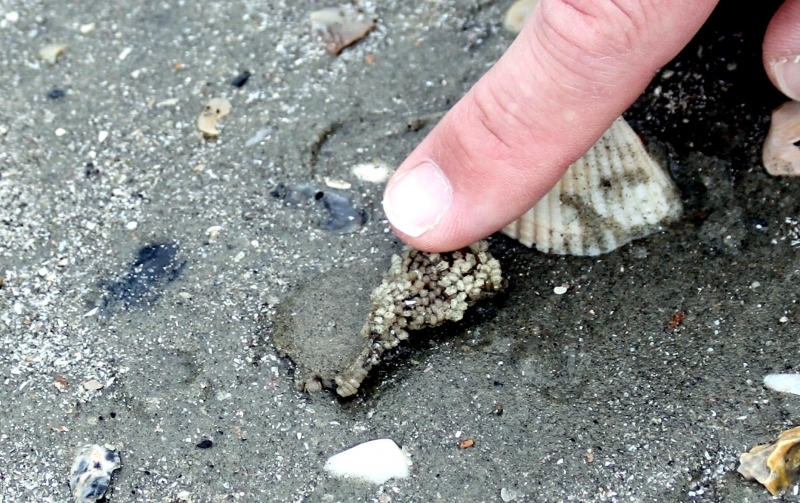 Predators of these tiny crustaceans include Raccoons, shorebirds and gulls. 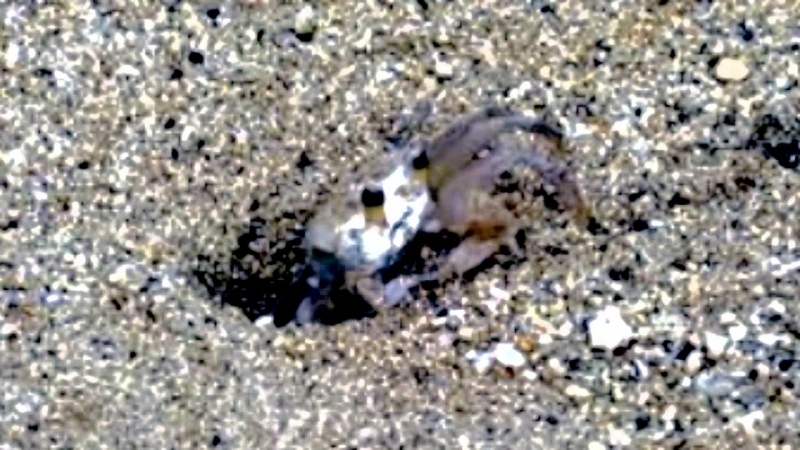 Sand Crabs hide in their burrows during hot sunny days. They stay in the burrows for 2 reasons during the day. They stay inside their burrows during the day when the hot sun heats up the beaches. 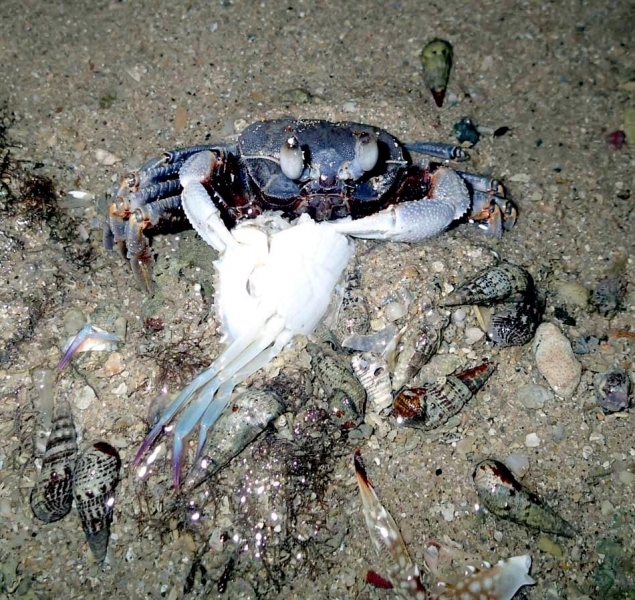 It is also much harder for predators to see the tiny crabs at night than it is during daylight hours. 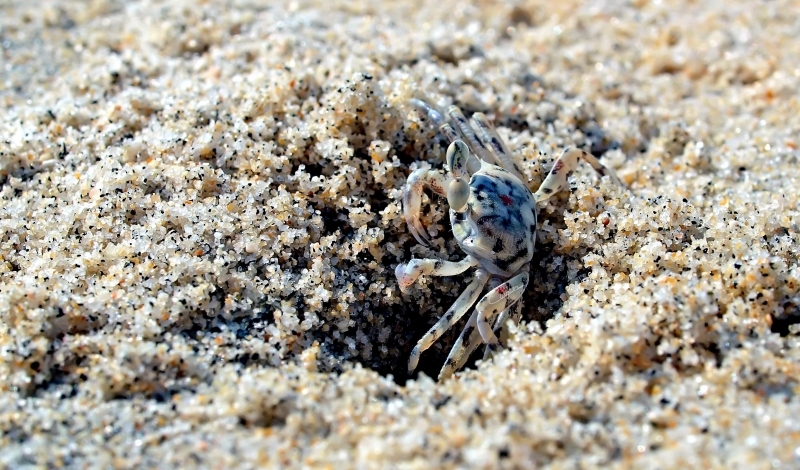 Ghost Crabs all live in burrows that have a small opening about the size of a quarter. They burrow down into the sand often creating an elaborate tunnel system underground. Their tunnels often go down 4 feet into the sand with side branches. 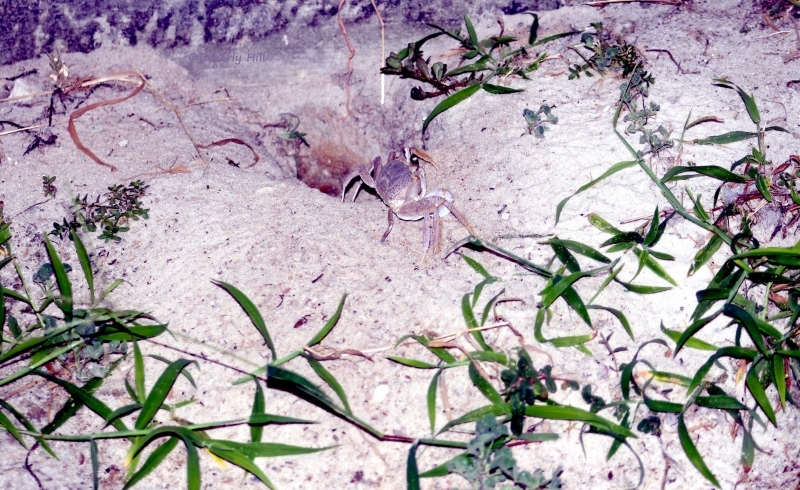 Young Ghost Crabs create burrows close to the water’s edge while older adults often create burrows hundreds of feet from the edge of the waves. 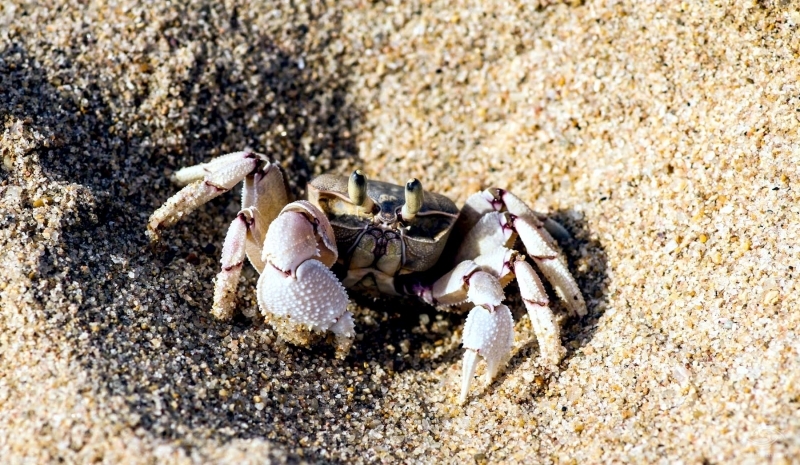 Ghost Crabs mate all year long and the males prefer to mate near their burrow holes. During the mating time with a female, the male secretes a fluid that hardens & prevents rival male’s sperm from reaching the ova of the female. The female carries the fertilized eggs under their bodies until they are ready to hatch. She releases the eggs into the water where the larvae grow & develop into young crabs before coming ashore to live the rest of their lives. The female retreats to the ocean while laying eggs. The eggs turn into marine larvae. 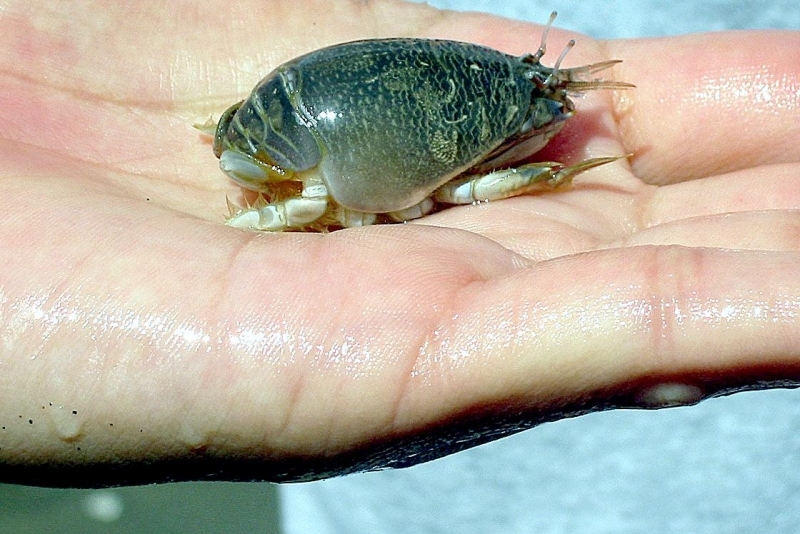 This crustacean communicates through sounds with other members of its family. 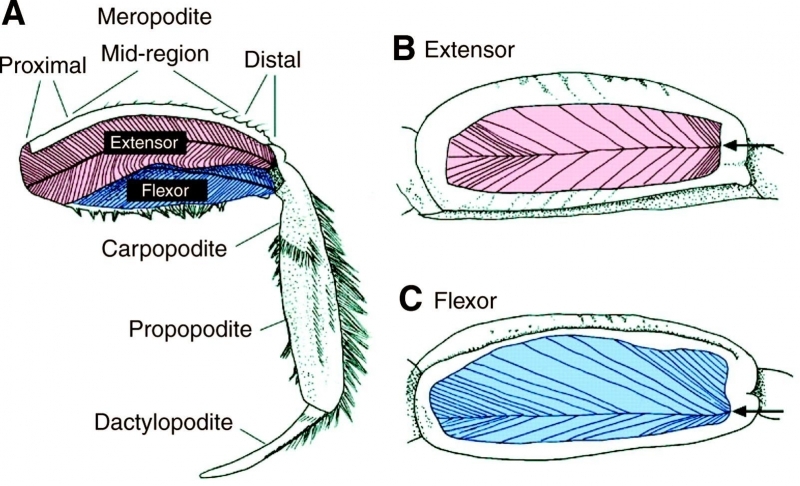 The creature has a unique mechanism on its right claw known as a Stridulating organ. When it strokes this against the bottom of its leg, a squeaky noise is produced. 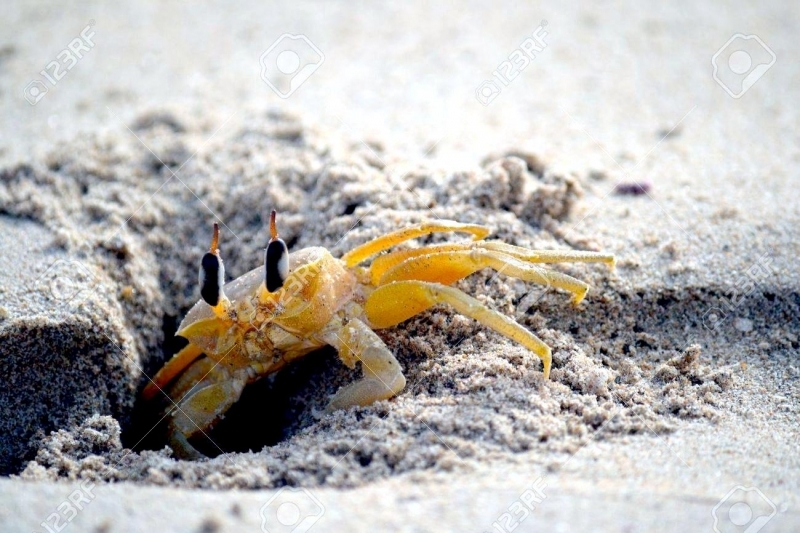 A crab produces this noise to warn other Ghost Crabs not to enter its burrow. 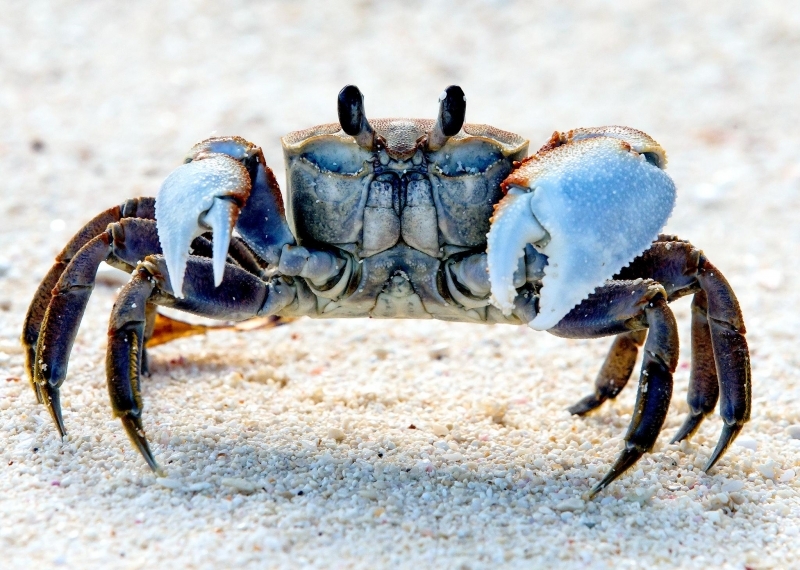 Male crabs also use this sound to attract female mates. 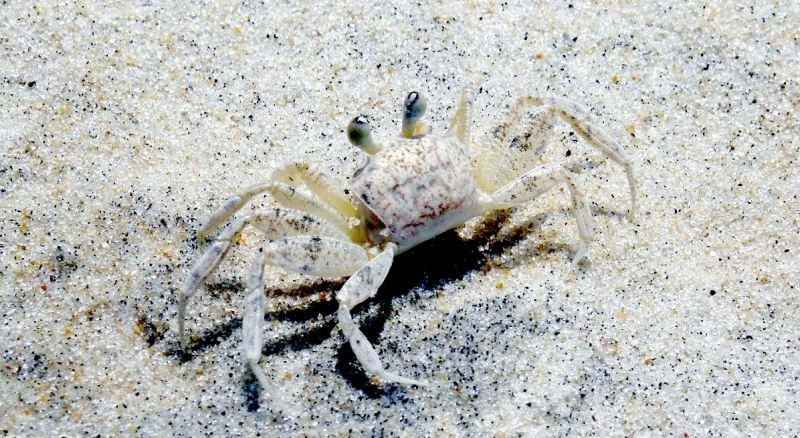 Ocypoda is the Latin name for Ghost Crabs and means “swift-footed”. This animal has 5 pairs of legs. The first pair is called Chelipeds and is shaped like claws. 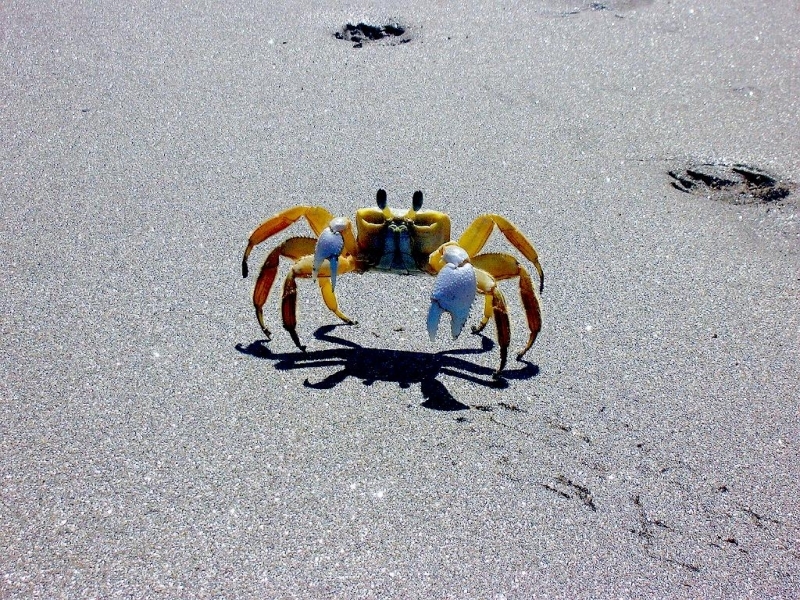 The legs when jointly used, can make crabs move in any direction whether forward, backward or sideways. 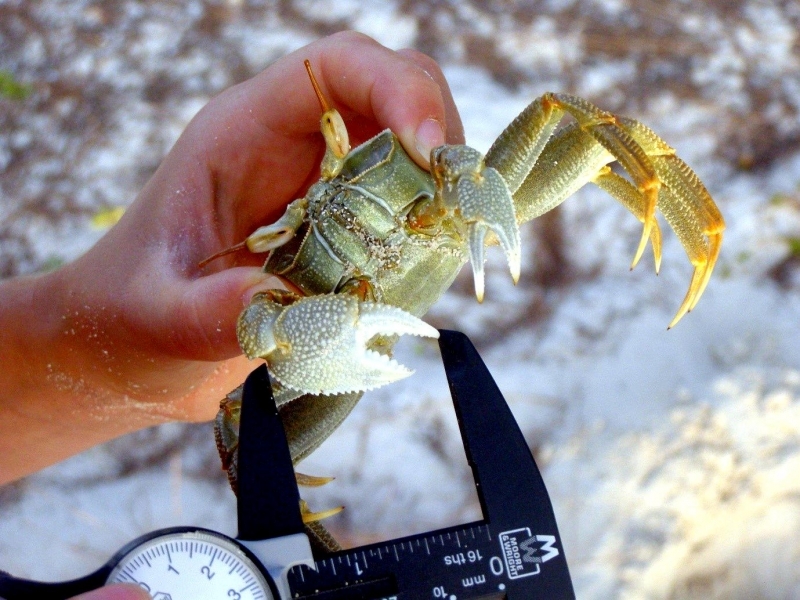 In male Ghost Crabs, one claw is slightly larger than the other. The adult’s carapace (shell) is usually about 2 inches long. 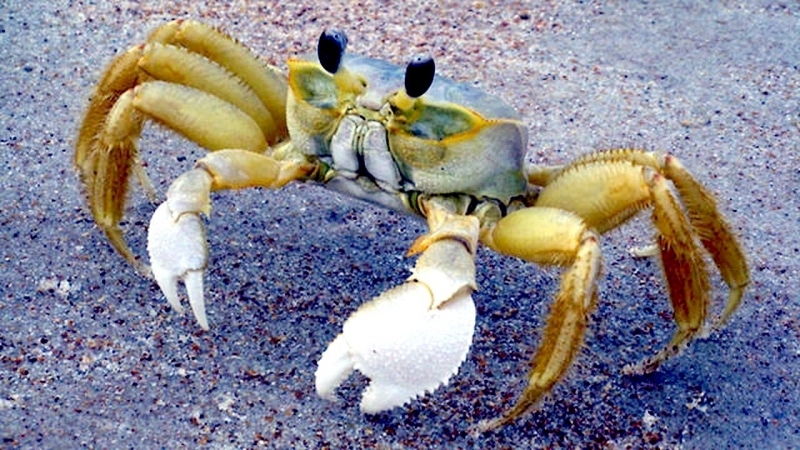 Young crabs are much darker with a mottled gray or brown shell. 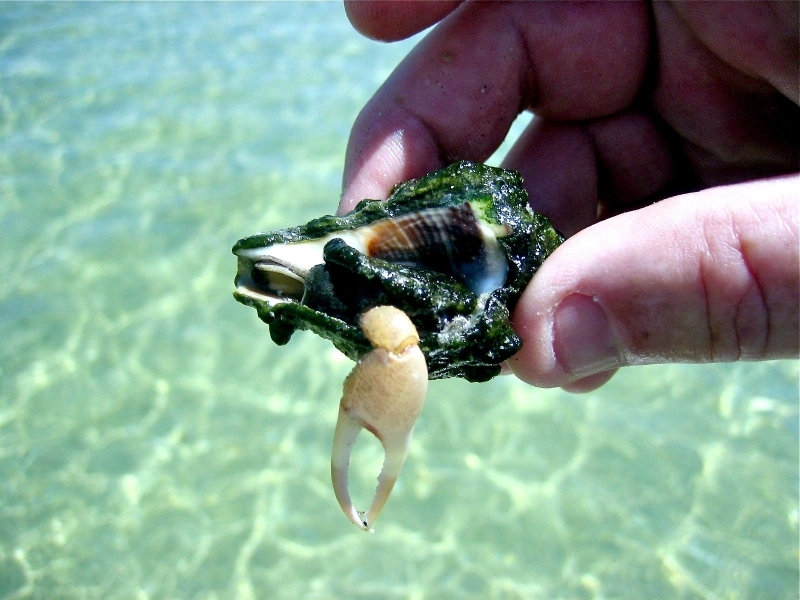 Older adults have shells that are square-shaped & semi-transparent. The males are usually larger than the females and their shells can grow up to 3 inches long. 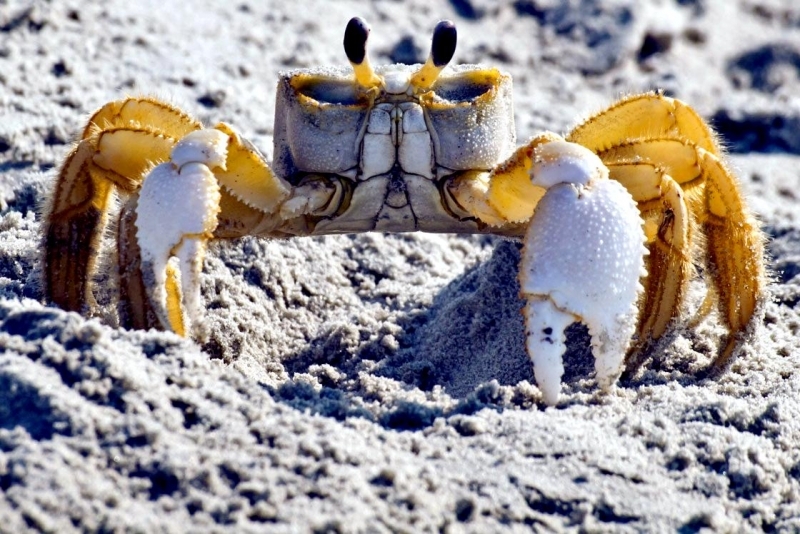 With increasing maturity, the Ghost Crab begins to lose its external skeleton. It comes off at a point, only to be replaced by a new, slightly larger shell. 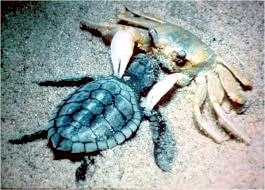 The new shell takes some time to harden and until that happens, the Ghost Crab remains vulnerable. They have eye stalks that are club shaped. 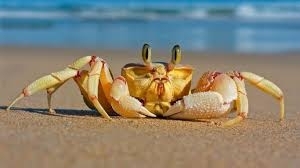 The crabs can rotate the eye stalks 360 degrees looking for predators & food. The large eyes of the Ghost Crab gives them a wide field of vision. The eyesight of these creatures is very good. This helps them spot predators very quickly and find out any other threats.